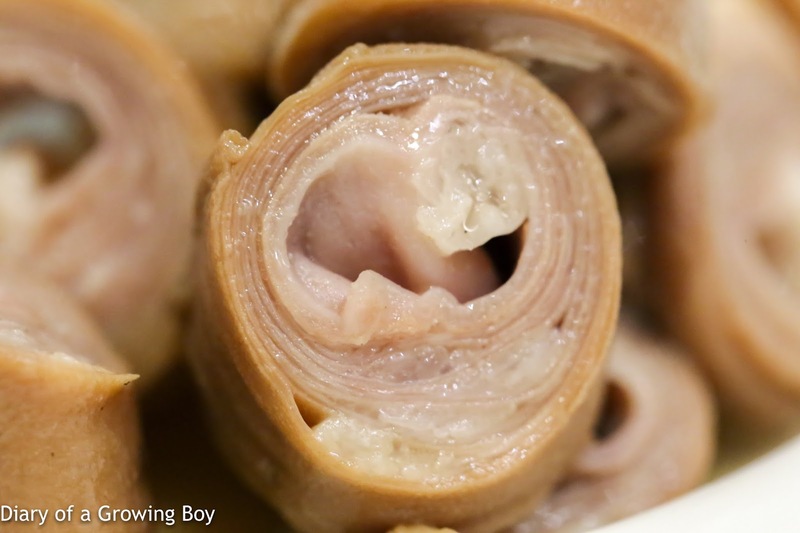 Braised pig intestine (九转粉肠) - the dish I most wanted to try, and it turns out, we had to order a second portion because it was the favorite dish of our friends' son. 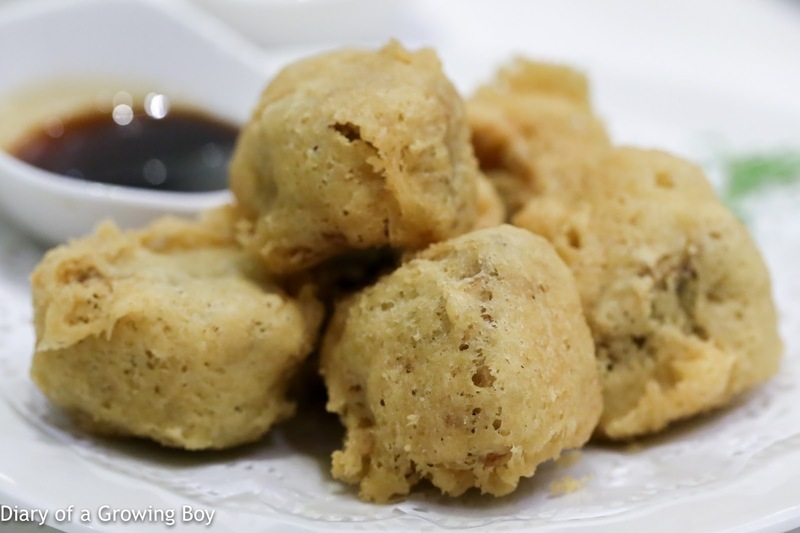 Fried homemade bean curd (干炸嫩豆腐) - these came with those deeper and slightly smoky soy bean flavors that I've come to appreciate in my tofu, and were surprisingly moist and limp for something that had been fried. Putien shrimp roll (莆田虾枣) - these were pretty nice and tasty. The blend of minced pork and shrimp was pretty tender. Of course, the crispy deep-fried batter made things even better. 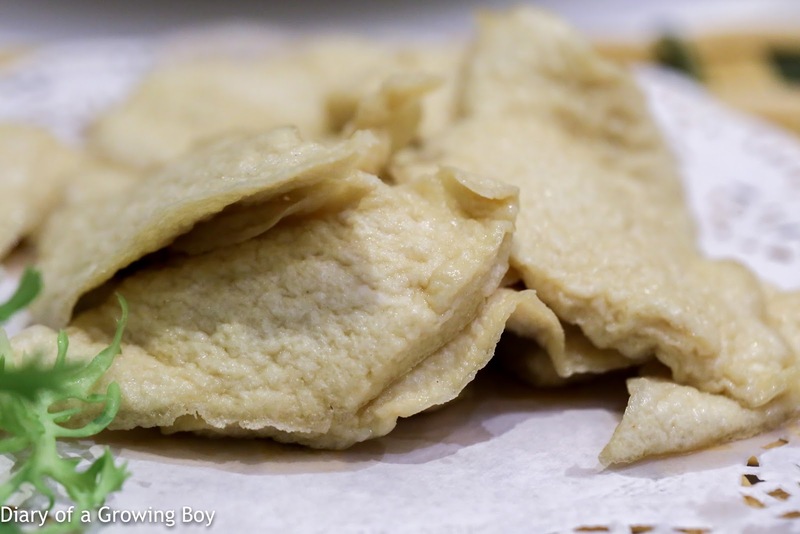 Putien style oyster omelette (一品海蛎煎) - just had to try this out. Not bad, but this became a little soggy pretty quickly. 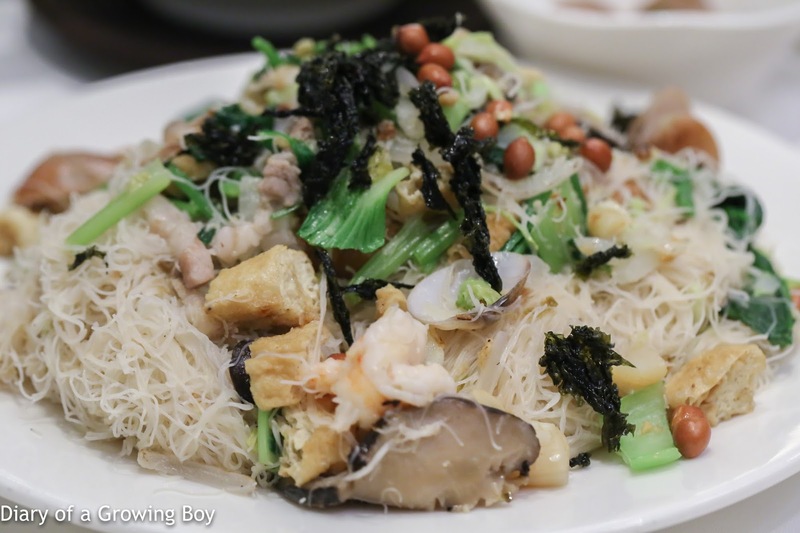 Fried Heng Hwa bee hoon (兴化米粉) - I had expected this to be stir-fried at high heat, but there was no wok hei (鑊氣) at all. Instead, the very thin, hand-made rice vermicelli was slightly on the moist side. Still pretty tasty, but I was a little disappointed since I had expected something quite different. 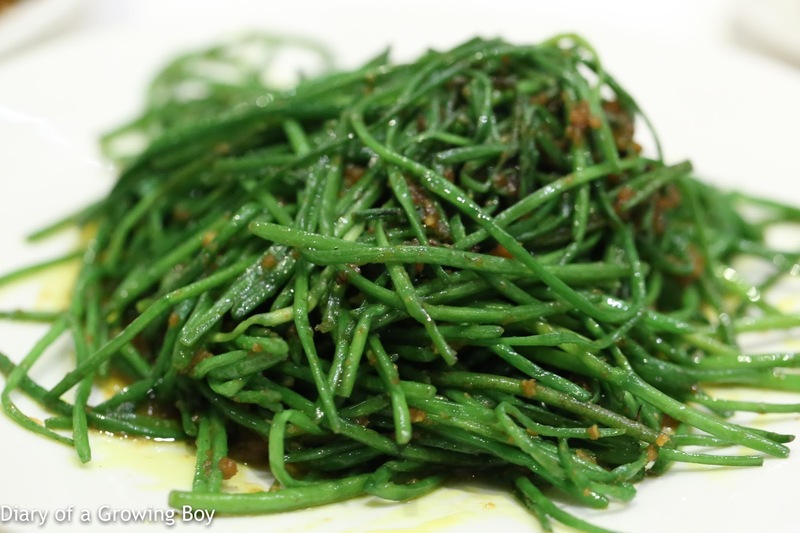 Sambal white water snowflake (参巴水莲) - I was surprised to find this in Singapore, as I had only seen it in Taiwan. 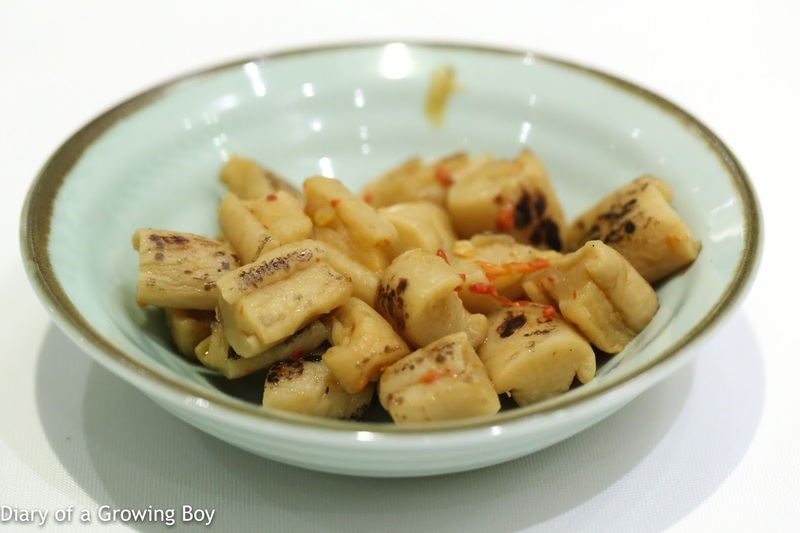 I love the crunch, but these came a little thinner than the ones I'm used to seeing at home, although the veg is apparently imported from Taiwan. 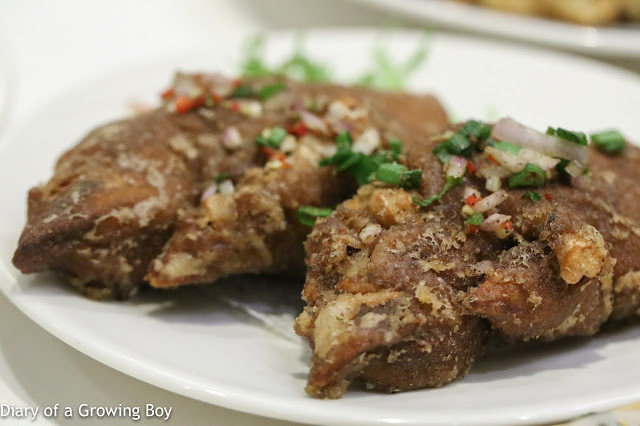 Deep fried pig's trotters with salt and pepper (椒盐猪手) - it's difficult for me to resist ordering pig trotters, and I really wanted to have them deep-fried. I had to order the minimum order of 2 pieces, and happily chomped away on one of them. This was soooo good. 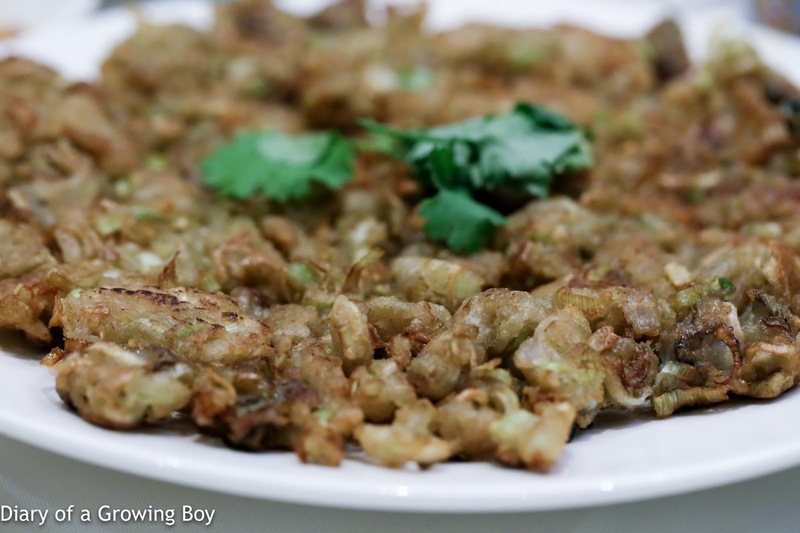 Crispy and tasty, but of course plenty of salt and pepper. L had been eyeing the other piece that was looking rather lonely on the plate, when her husband decided to cut her half of it. She was clearly a fan, and decided to take the remaining half, too. 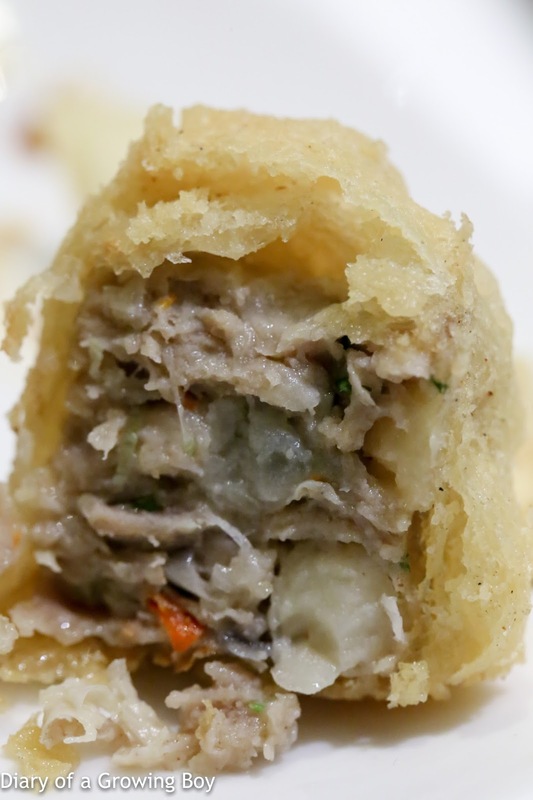 She declared it to be the best dish of the evening, as it had withstood the relentless blast from the aircon and managed to maintain its crispy texture. 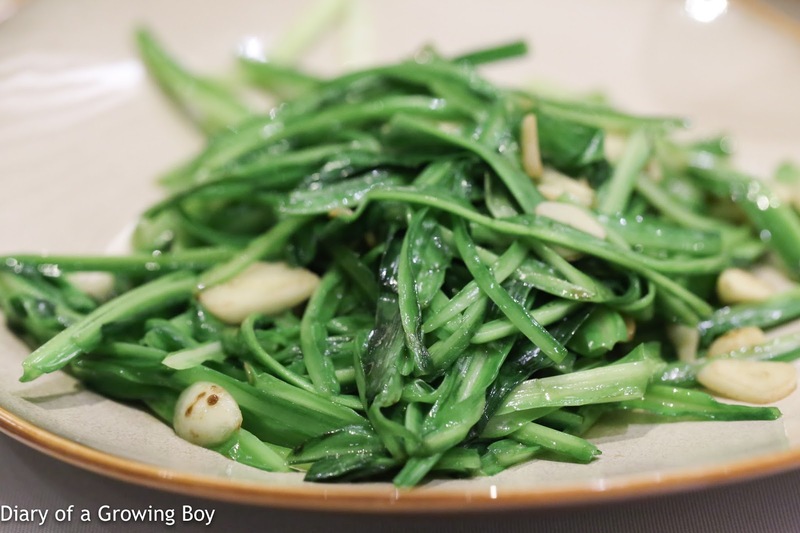 Stir-fried green dragon vegetable with garlic (蒜香青龙菜) - I've never heard of 青龍菜 before, but it certainly tastes like chives and has that slight spicy kick that one finds in chives as well as garlic scapes. Pretty nice, actually. The four (and a half) of us were stuffed. I had, admittedly, ordered too much food in the hopes of trying more dishes, but thankfully some of the dishes came in different sizes and we had the option of asking for a smaller portion. Was it worthy of the star? Well... I don't think any of the dishes today were FAILs, and overall they were pretty tasty. But judging by the amount of liquids that Hello Kitty was pouring down her throat, I'd say there was a fair bit of MSG in the food here. The food was pretty humble and not really anything fancy. So... NO, I don't think they should have gotten a star.